The tunic fabric is soft cotton, the dark blue fabric is cotton crepe. the project started in 2015 and completed now in May 2016.This is the first project where these two concepts were tried for the first time. 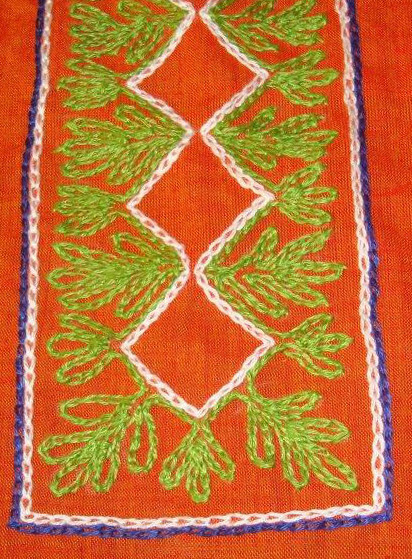 A form of Indian ethnic embroidery and mix of blue and orange. It was hard to conceive the idea of mixing orange and blue together. But there were too many eye candies which nurtured this and a time came when I wanted to try this. 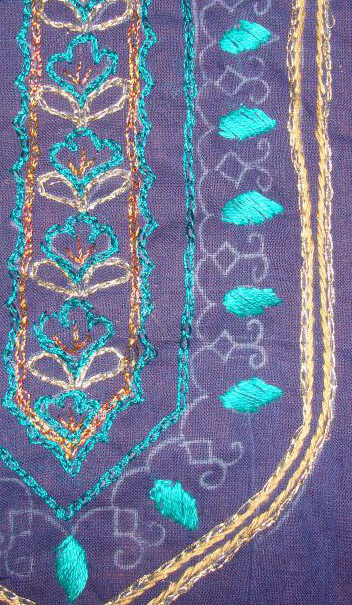 An ethnic embroidery pattern which was predominantly done in chain stitch and mirror work was seen on a wall hanging. 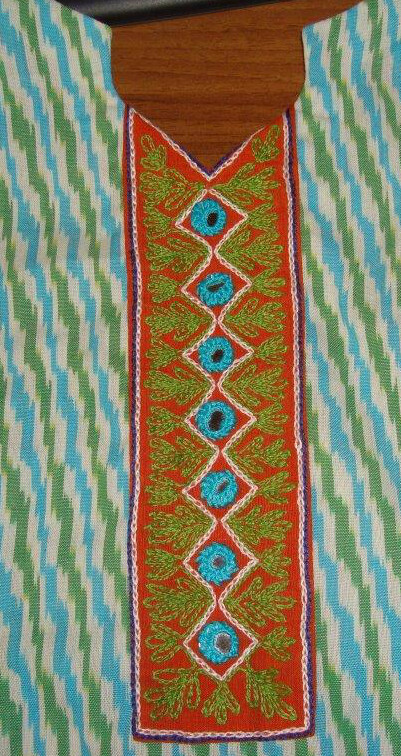 This piece had other forms of ethnic embroidery too. A border was worked with this detail. 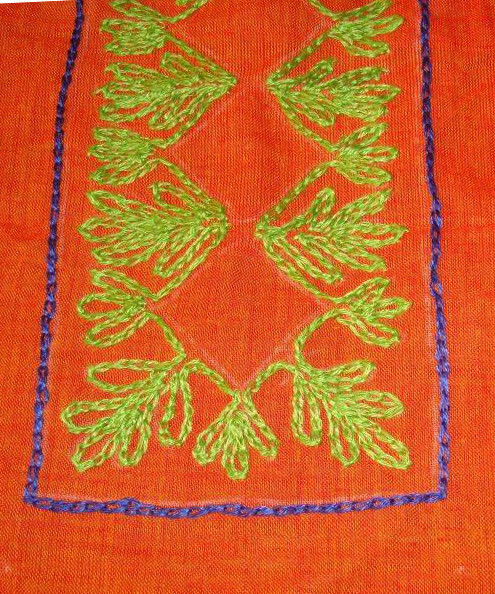 The basic floral design was worked completely in chain stitch with green thread. With the fabric colour being white, last of the chain stitches were worked in white. Round mirrors were worked in light blue thread. At this stage, coordinating the dark blue with this tunic was not looking very good. So the project was kept aside to be given to the tailor later. 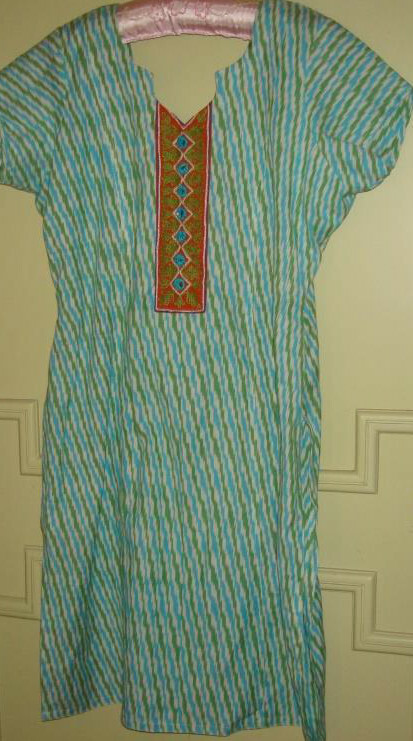 A light blue Patiala was bought, which coordinated better with this tunic. 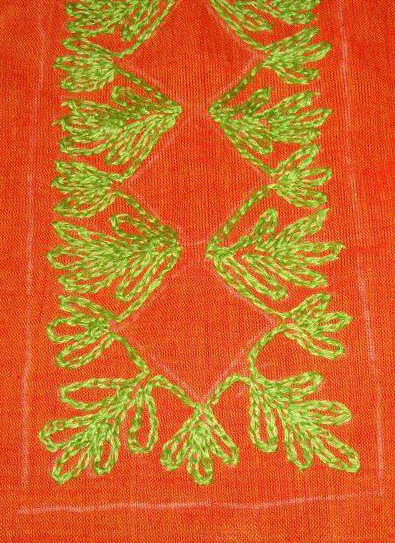 The embroidery detail on tunic. 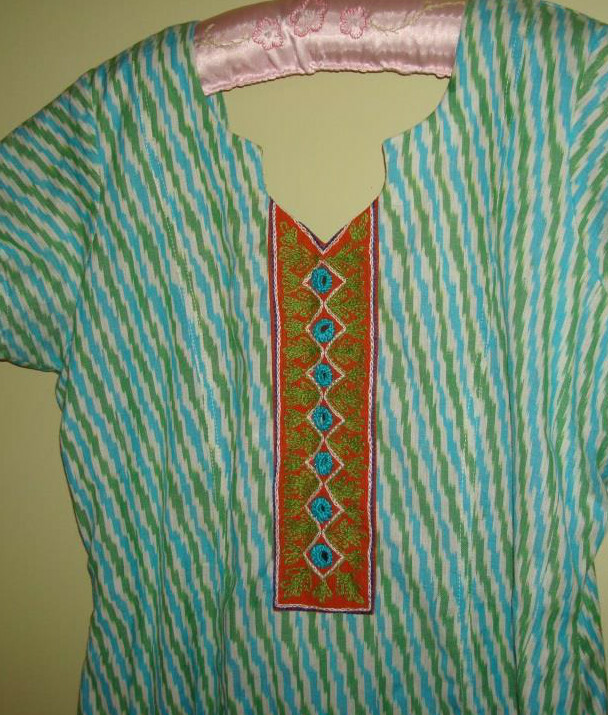 After completing the randje per week 2014 challenge, I thought of concentrating more on embroidery on tunics. 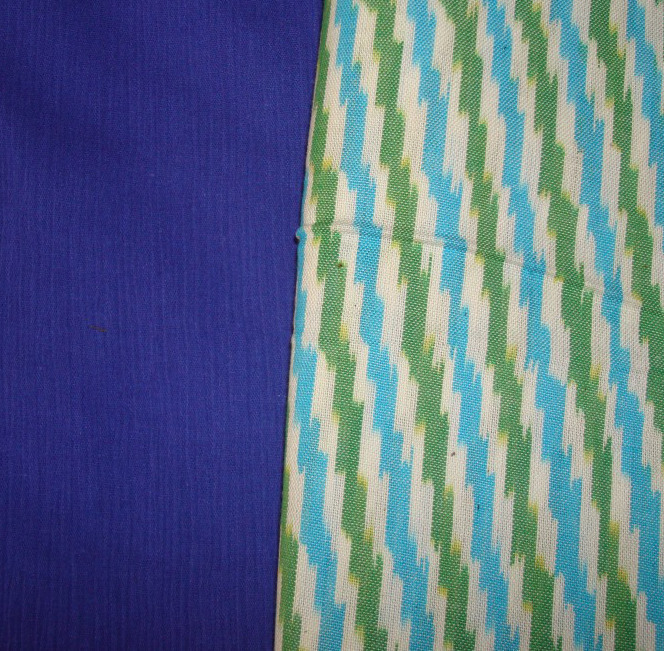 Satin stitches with cotton skeins were started on the central panel of blue/green crepe tunic. 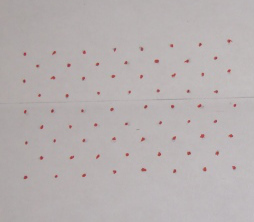 Have drawn some dots on white paper to try some ideas of chicken scratch on dotted fabric.